Last Monday morning, acting Interior Secretary David Bernhardt greeted employees at the door after the 35-day government shutdown. "I saw a ton of smiles as people headed into work — your enthusiasm for resuming work and reconnecting with your colleagues is fantastic!" he tweeted later that morning. Bernhardt may need more than a smile and a joyous tweet to address looming challenges for the 70,000 employees who work for him. The agency is facing concerns about a brain drain as a third of its workforce is nearing retirement age. Only 5 percent of workers are younger than 30, and just about a quarter are younger than 40. Frustrations over missed paychecks and uncertainties about another government shutdown could pose problems for retaining institutional memory and attracting new talent, analysts say. Some oil and gas employees at the Bureau of Land Management also had been looking to leave even before the shutdown, according to multiple sources. "The workload has really gotten large," said Kit Muller, a retired BLM national landscape initiatives coordinator. "I think the field people are under a lot of pressure to get things done quickly." The Trump administration's "energy dominance" goals have created more work for employees in the oil and gas division that hold lease sales, receive drilling applications, complete environment review and conduct on-site inspections. During the Trump administration, oil lease sales occur every quarter in each Western state. In the past, the sales occurred quarterly, but not in every state. "Clearly with this administration, there is a refocused effort to increase mineral production," said Ray Brady, who retired from the BLM Washington office 18 months ago. "Clearly that has an impact on the agency and on how you allocate resources and what staffing is necessary." Demand for federal land is market-driven, he said, and competition varies from one region to another. "BLM can't control that," he said. Since late November, the New Mexico BLM office processed 381 drilling applications — 10 times more than BLM Colorado did, according to WildEarth Guardians. Throughout the Western states, the total number of acres offered on the auction block increased to nearly 12 million in 2017, up from 2 million the year prior. BLM has not appeared to hire more staff to handle the increased workload. The agency did not respond to multiple requests for comment. A number of BLM oil and gas workers have been transferring to the Forest Service, an agency known for emphasizing conservation, Muller said. Those workers were probably motivated by multiple factors, he added. One of the most visible examples was Jerry Perez, who moved last summer from leading the BLM California office to overseeing the 700,000-acre Angeles National Forest (Greenwire, Aug. 20, 2018). His departure has not been filled by a permanent director. Half of the 12 BLM state offices do not have permanent directors to oversee the 10,000 employees at the agency, although a couple of the positions were recently filled. In contrast, the Forest Service is run by career staff. "Having worked many years for both agencies, my observation is the Forest Service is less susceptible to political swings," said Steve Ellis, who retired from BLM at the end of the Obama administration. "The bureau seems to have shifted more to the extraction side under the current administration." He added that career BLM employees "seem quite concerned about the conservation ethic of current DOI political leadership. I have not heard any such concerns from Forest Service employees." Retirement groups have also been paying attention to the issue. Jeff Ruch, executive director of Public Employees for Environmental Responsibility, said he has heard anecdotal reports about BLM employees applying to other agencies both within and out of Interior. "We have not seen evidence of a mass exodus, however — and BLM is the most thinly staff (by far) of all the land management agencies on an acre-by-acre basis," he wrote in an email. Across all agencies, he said, the hiring process in the Trump era is slow, making job-hopping difficult. The Public Lands Foundation, made up of mostly BLM retirees, is "deeply concerned" about the future of the agency, especially after the government shutdown. But it said the problem is not new. "Having to 'do more with less' has been standard fare for BLM for quite some time. We do not anticipate that changing anytime soon," PLF Director George Stone said. In general, BLM has to compete with the oil industry for skilled, experienced workers, noted Kelly Fuller of the Western Watersheds Project. She suspected BLM would lose seasoned employees if the government continues to shut down, which does not bode well for the environment. That concern was echoed by Mary Jo Rugwell, Wyoming's BLM director, who wrote in an email to Fuller that she is "very concerned" about the possibility of losing "key" members of her team. She has reason to be worried. Margot Conrad of the Partnership for Public Service said she has heard anecdotally of recruiters "who have reached out to folks during this time." With a third of the Interior workforce eligible to depart within five years, Randy Erwin, president of the National Federation of Federal Employees, said "we're at the height of retirement of baby boomers." "A lot of them held on for financial reasons. In the next couple of years, we are going to see retirement in droves," Erwin said. 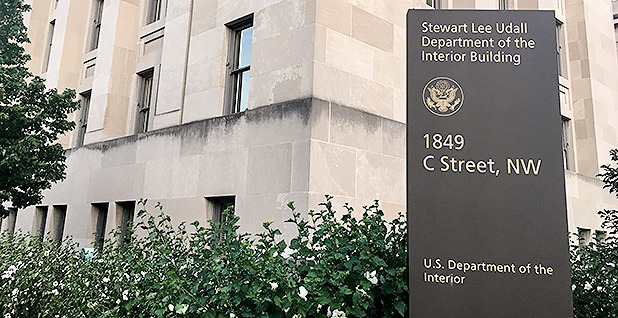 Already, Interior has about 3,000 fewer full-time staff than it did five years ago, according to data analyzed by the Partnership for Public Service. That translates to a 6 percent drop. Conrad believes federal agencies must do a better job of attracting the next generation of workers. They should use social media more to show young people exactly what they do, she said. "One of the really unique things about these agencies is that they have a mission that really appeals to the general public," she said. "I think there is a real chance for the agency to brand itself."